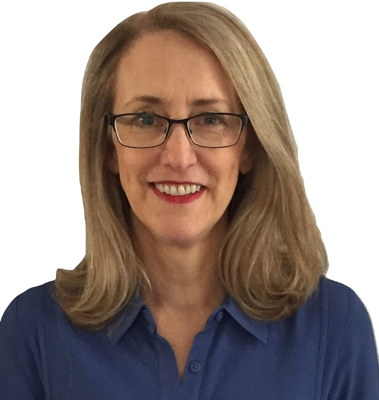 Dr. Kate Cain trained as a psychologist at the University of Melbourne and is committed to using her comprehensive training and research to help people understand and manage the issues and concerns that can affect their mental health and well-being. Kate’s research for her PhD involved exploring the impact our early family life has on the development of the way we think, feel, and behave. Without even being aware of it, those thoughts, feelings, and behaviours develop into habits known as psychological coping styles, and usually persist into adulthood. Although they were the result of us adapting to our family life in childhood, and were therefore helpful at the time, when we continue to view the world the same way as adults, and respond accordingly, they are no longer necessarily helpful. Exploring what these are, and understanding how they developed, can be very helpful when people are looking to make positive changes in their life. Prior to commencing work as a psychologist, Kate worked for major corporations for a number of years, before developing and managing her own business. Her career history adds a further richness to her life experience and the understanding she brings to her work with her clients. With her experience, coupled with her comprehensive psychological training, Kate brings a special set of skills to helping individual clients with mental health issues, and also to helping businesses who want to develop workplace wellness programs to help support their employees’ well-being. In particular, Kate has an interest in helping organisations address, and prevent, workplace bullying. Psychologists are trained to assess and diagnose mental health issues. A range of techniques and therapies are employed, tailored to treat the individual’s particular issues. In most cases, the initial focus is on working with the client to manage what can be distressing physical symptoms. Depending on what the underlying issues are, the therapy can later extend into understanding why they occurred in the first place. This awareness can significantly help the client manage their mental wellbeing in their daily life. Psychological services are available for individuals across the lifespan (adults, adolescents, children, and families) and for mental health conditions that range from mild to severe and complex. These issues include anxiety, depression, pain management, OCD, panic attacks, eating disorders, effects of workplace bullying, PTSD, and substance use. Relationship counselling is also provided. The goal of therapy is to help individuals manage and maintain their well-being and to live a more peaceful life. Clients may be able to receive up to 10 Medicare rebates per calendar year for treatment from a registered psychologist. To receive this rebate your GP needs to approve a Mental Health Plan for you. You should talk to your GP about obtaining a plan or alternatively, you may be able to claim from your private health insurance. Please speak with your health fund insurer to confirm your policy coverage.